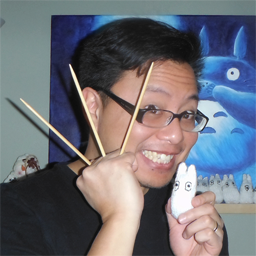 Geek Guy Knitting | One nerd's humorous knitting journey. This is awesome. When I meet kids, and because I’m old, they are surprised I know what Pokémon is. And then they ask me what my favourite Pokémon is. And I always say Magikarp, because it’s one of the most useless Pokémon there is. And then I start to go on and on about magikarps and then they kids get weirded out and I laugh. I haven’t updated much, but it’s not because I haven’t been knitting. Oh no, I totally love knitting. I finally finished my Totoro shaker that I was knitting for Debbie Ohi that I needed to get done as one of the perks for Debs & Errol CTRL+ALT+DUETS indiegogo campaign. This took much longer than I had intended. Admittedly, I was a perfectionist on it. I restarted it 5 times or more because I kept screwing up. Ah well. Anyway, last night, I spent about two hours knitting at Lee’s Palace. There was a geeky music concert happening called Super Audio Land 2, and it was awesome. This is a sweater I’m knitting. I’ll talk about it in an upcoming post. The world has spoken. My facebook has been telling me I should knit for penguins. I guess I should. Dear readers, meet ‘Manda Whitney, whom I call Manpans! I met Manpans about two years ago and we became creative partners in a joint venture called weTangent. She’s a huge geek and we share a love in adventure games, Densha Otoko, and teasing Manpans. Since our inception we’ve written a number of sketches together, wrote a musical, appear in a weekly podcast, and do a weekly video series called Dining & Dating. She is one of the founding members of the Princess Bride Knitting Circle, which I still haven’t blogged about, but I will! 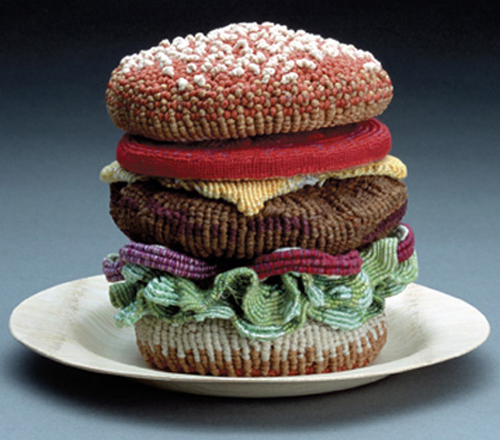 I’ve never been much of a knitter. For me, knitting, much like science, has always seemed like sorcery. The idea of taking a ball of yarn and turning it into some fantastical piece of garment or geeky toy simply perplexed me. My wife loves camping. She loves camping as much as I love being inside. I shan’t post pics of me in a sauna. 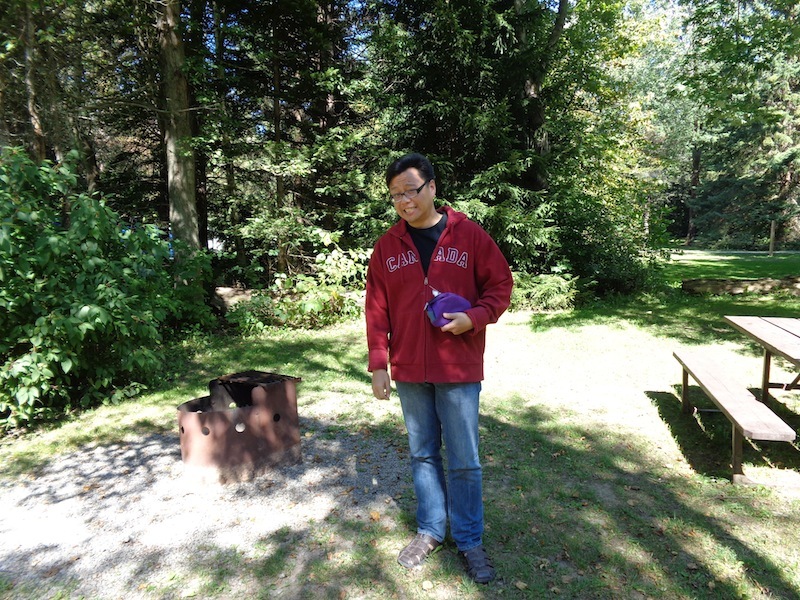 Here’s me trying to drum up a smile for camping.